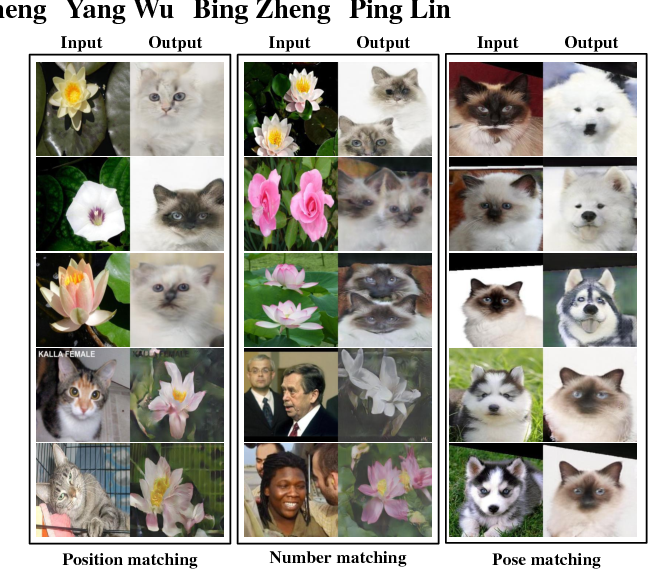 Semantic layouts based Image synthesizing, which has benefited from the success of Generative Adversarial Network (GAN), has drawn much attention in these days. How to enhance the synthesis image equality while keeping the stochasticity of the GAN is still a challenge. We propose a novel denoising framework to handle this problem. The overlapped objects generation is another challenging task when synthesizing images from a semantic layout to a realistic RGB photo. To overcome this deficiency, we include a one-hot semantic label map to force the generator paying more attention on the overlapped objects generation. Furthermore, we improve the loss function of the discriminator by considering perturb loss and cascade layer loss to guide the generation process. We applied our methods on the Cityscapes, Facades and NYU datasets and demonstrate the image generation ability of our model. 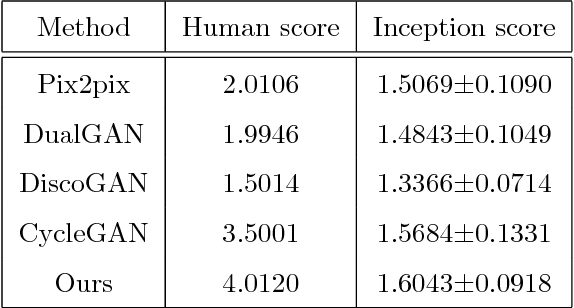 Generative Adversarial Networks are proved to be efficient on various kinds of image generation tasks. However, it is still a challenge if we want to generate images precisely. Many researchers focus on how to generate images with one attribute. But image generation under multiple attributes is still a tough work. In this paper, we try to generate a variety of face images under multiple constraints using a pipeline process. 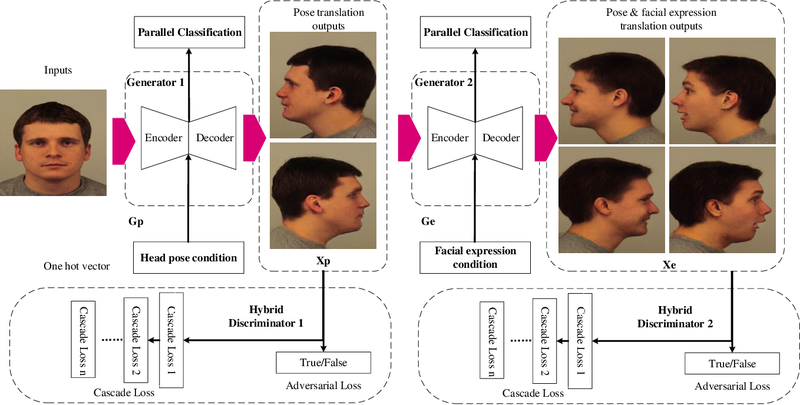 The Pip-GAN (Pipeline Generative Adversarial Network) we present employs a pipeline network structure which can generate a complex facial image step by step using a neutral face image. 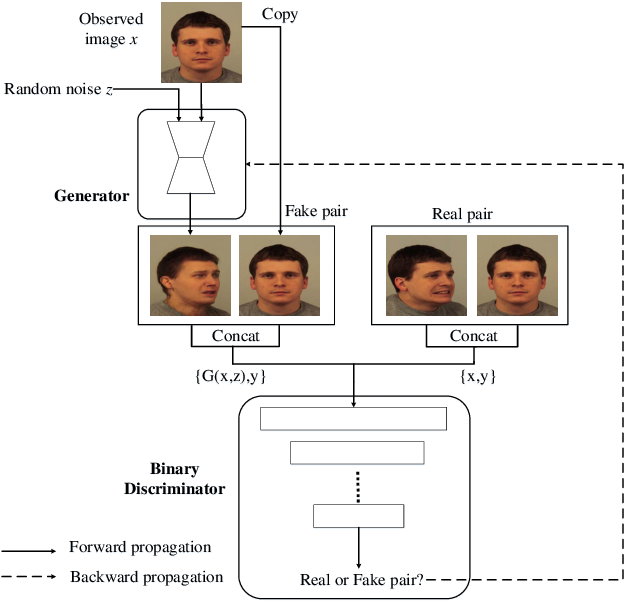 We applied our method on two face image databases and demonstrate its ability to generate convincing novel images of unseen identities under multiple conditions previously. Recently, image-to-image translation has been made much progress owing to the success of conditional Generative Adversarial Networks (cGANs). And some unpaired methods based on cycle consistency loss such as DualGAN, CycleGAN and DiscoGAN are really popular. However, it's still very challenging for translation tasks with the requirement of high-level visual information conversion, such as photo-to-caricature translation that requires satire, exaggeration, lifelikeness and artistry. 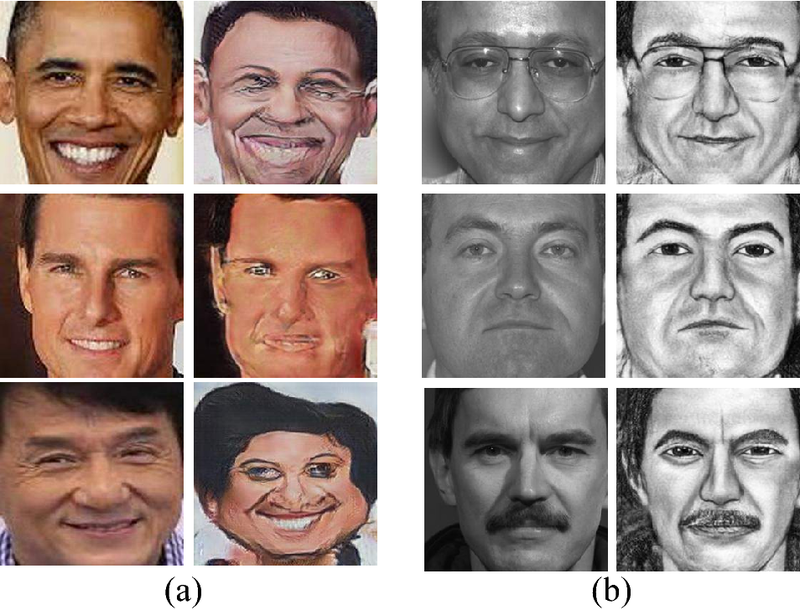 We present an approach for learning to translate faces in the wild from the source photo domain to the target caricature domain with different styles, which can also be used for other high-level image-to-image translation tasks. In order to capture global structure with local statistics while translation, we design a dual pathway model with one coarse discriminator and one fine discriminator. For generator, we provide one extra perceptual loss in association with adversarial loss and cycle consistency loss to achieve representation learning for two different domains. Also the style can be learned by the auxiliary noise input. 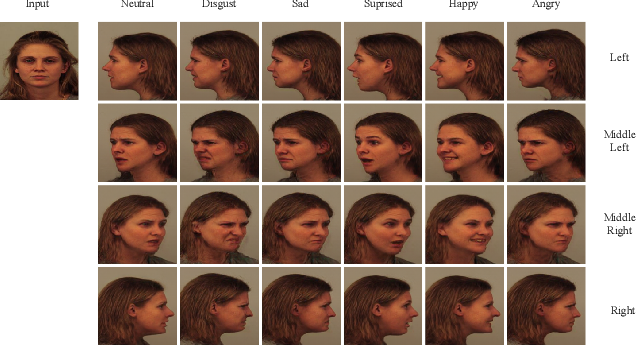 Experiments on photo-to-caricature translation of faces in the wild show considerable performance gain of our proposed method over state-of-the-art translation methods as well as its potential real applications. 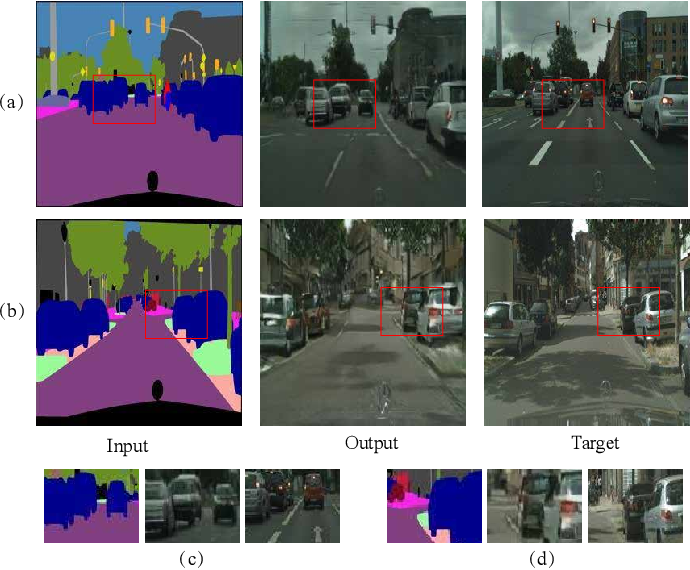 Current approaches have made great progress on image-to-image translation tasks benefiting from the success of image synthesis methods especially generative adversarial networks (GANs). However, existing methods are limited to handling translation tasks between two species while keeping the content matching on the semantic level. A more challenging task would be the translation among more than two species. 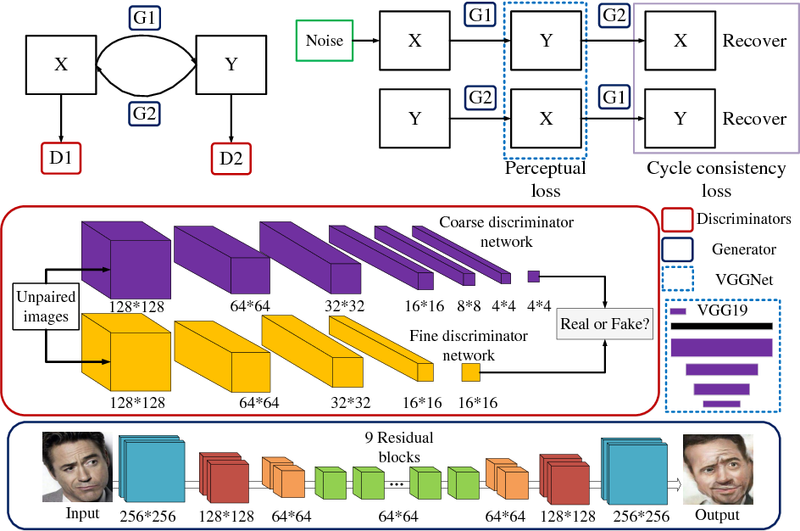 To explore this new area, we propose a simple yet effective structure of a multi-branch discriminator for enhancing an arbitrary generative adversarial architecture (GAN), named GAN-MBD. It takes advantage of the boosting strategy to break a common discriminator into several smaller ones with fewer parameters, which can enhance the generation and synthesis abilities of GANs efficiently and effectively. 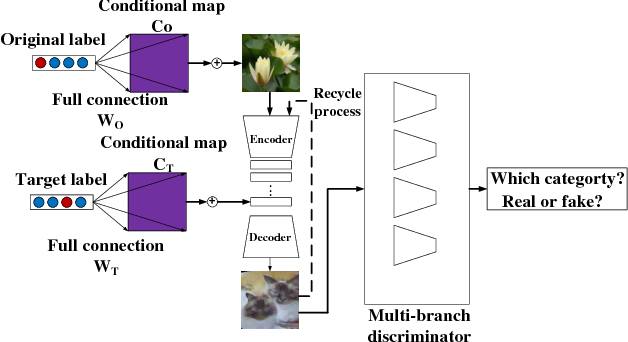 Comprehensive experiments show that the proposed multi-branch discriminator can dramatically improve the performance of popular GANs on cross-species image-to-image translation tasks while reducing the number of parameters for computation. The code and some datasets are attached as supplementary materials for reference. Image-to-image translation has been made much progress with embracing Generative Adversarial Networks (GANs). However, it's still very challenging for translation tasks that require high quality, especially at high-resolution and photorealism. 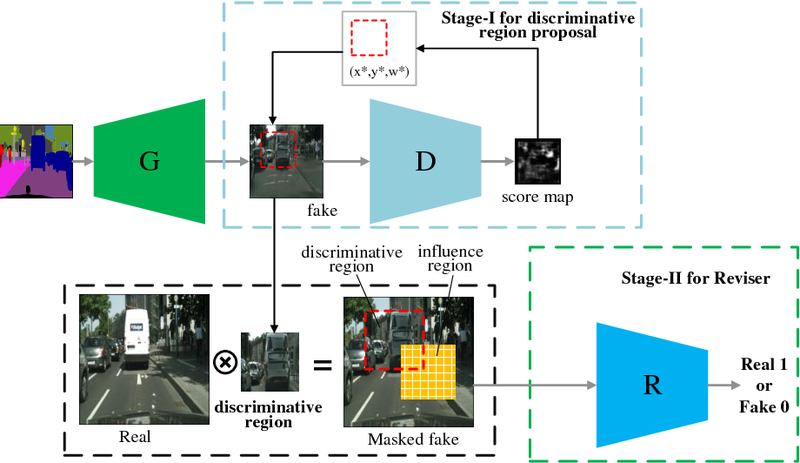 In this paper, we present Discriminative Region Proposal Adversarial Networks (DRPAN) for high-quality image-to-image translation. We decompose the procedure of image-to-image translation task into three iterated steps, first is to generate an image with global structure but some local artifacts (via GAN), second is using our DRPnet to propose the most fake region from the generated image, and third is to implement "image inpainting" on the most fake region for more realistic result through a reviser, so that the system (DRPAN) can be gradually optimized to synthesize images with more attention on the most artifact local part. Experiments on a variety of image-to-image translation tasks and datasets validate that our method outperforms state-of-the-arts for producing high-quality translation results in terms of both human perceptual studies and automatic quantitative measures. 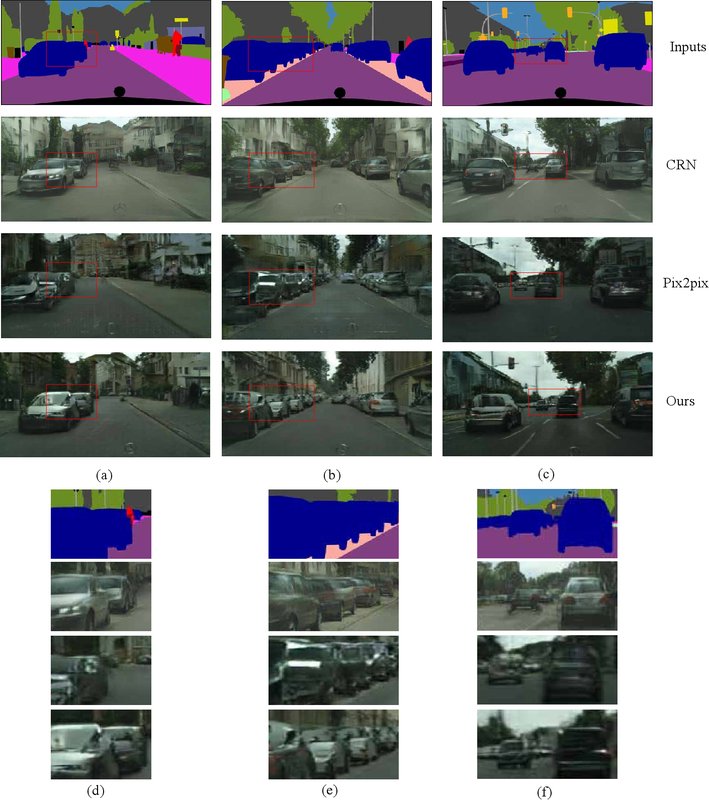 This paper presents a deep learning framework that is capable of solving partially observable locomotion tasks based on our novel interpretation of Recurrent Deterministic Policy Gradient (RDPG). 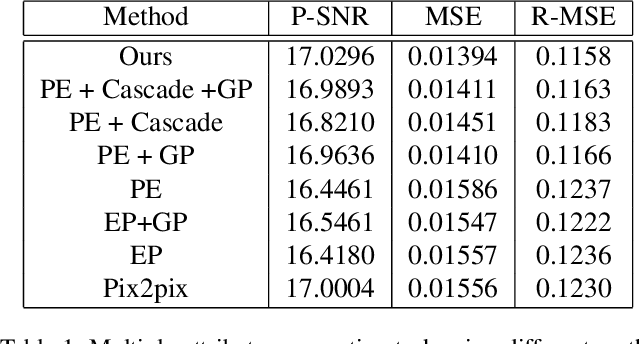 We study on bias of sampled error measure and its variance induced by the partial observability of environment and subtrajectory sampling, respectively. Three major improvements are introduced in our RDPG based learning framework: tail-step bootstrap of interpolated temporal difference, initialisation of hidden state using past trajectory scanning, and injection of external experiences learned by other agents. The proposed learning framework was implemented to solve the Bipedal-Walker challenge in OpenAI's gym simulation environment where only partial state information is available. Our simulation study shows that the autonomous behaviors generated by the RDPG agent are highly adaptive to a variety of obstacles and enables the agent to effectively traverse rugged terrains for long distance with higher success rate than leading contenders.